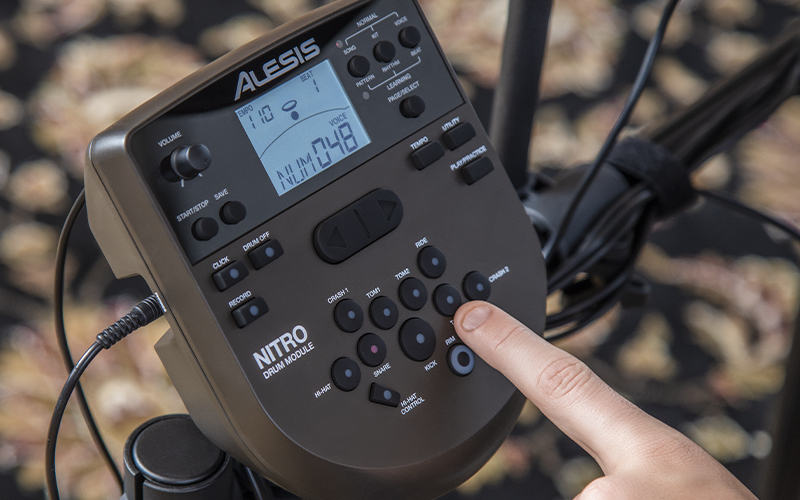 The Alesis Nitro Mesh is a complete 8-piece electronic drum kit centred around next-generation Alesis Mesh drum head technology. 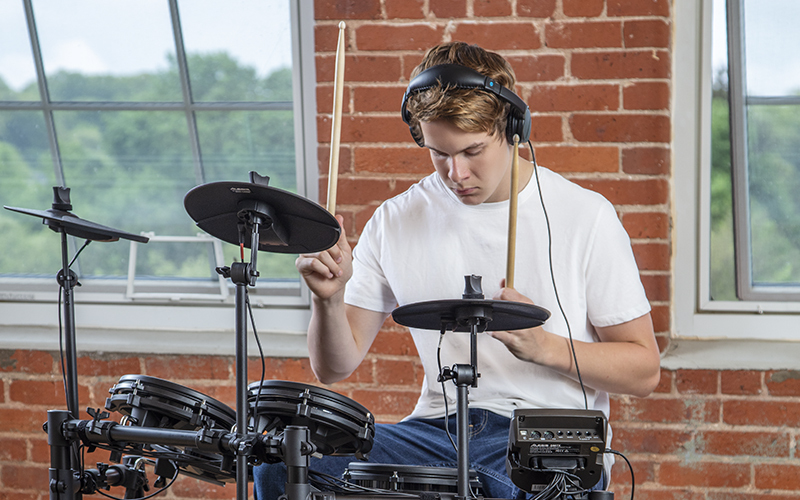 Mesh heads are the overwhelming preference of drummers when they play electronic kits, because of their natural feel and ultra-quiet response. The Alesis Nitro Mesh features an 8" dual-zone mesh snare drum and 3 x 8" mesh toms. It includes everything else you need to make a complete drum kit; 3 x 10" cymbals, custom-designed Alesis hi-hat pedal and kick pedal, and a durable 4-post aluminium rack. Inside the Nitro module you’ll also find valuable extras. 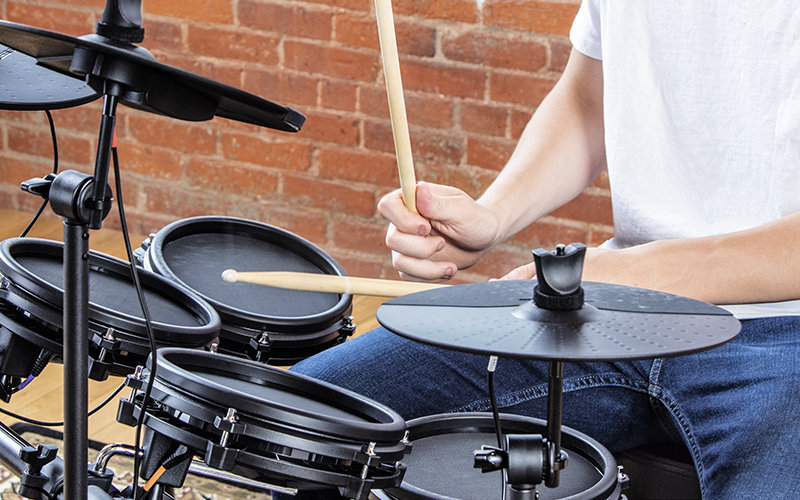 The built-in learning features 60 play-along music tracks and an on-board metronome to improve your skills. There is even an advanced sequencer and a performance recorder to expand your music-making potential. In addition to the USB MIDI connection for use with computers and mobile devices, the Nitro module also offers up some old-school MIDI In and Out jacks so you can hook up to your favourite MIDI-equipped drum machine, sound module or other audio gear. There is a headphone jack for private practice, plus stereo outs to connect to a PA system, amplifier or recording console. The stereo aux input enables you to jam along to your favourite tracks on your CD or MP3 player.